Cancer Stem Cells—Could They Be the Key to Metastasis? Cancer Stem Cells–a missing link in the war against cancer. Cancer stem cells (CSCs) are at the center of a theory that seeks to explain why cancer can sometimes return, despite apparently effective treatment. Cancer stem cells not only survive most conventional treatments, but are responsible for recurrent and progressive disease. Research has shown that cancer cells are not all the same. The stem cell theory proposes that among all cancerous cells, a few act as stem cells that reproduce themselves and sustain the cancer, much like normal stem cells normally renew and sustain our organs and tissues. Cancer stems cells have been found in many types of tumors, including leukemia, myeloma, breast, prostate, colon, brain, lung and other cancers. Cancer cells that are not stem cells can initiate cancer, but they cannot metastasize. CSCs have the ability to regenerate the primary tumor, and to move to other sites in the body causing metastasis. Unlike early stage primary tumors, metastasis is the primary cause of death in most cancer patients. And by the Stanford School of Medicine, Ludwig Center…. So to prevent relapse and metastases, it’s essential that we address the stem cells. According to Dr Tony Jimenez, Director of Hope4Cancer, while our powerful immune system (if fully functioning) is often able to seek and eliminate cancer cells, CSCs have a protein surrounding them that hides these cells from our immune system. However, natural compounds such as the ellagic acid in red and black raspberries help de-cloak the cancer stem cells of the protein they that hides them from our immune system[iv] (you want the ellagitannins from berries, not the supplement ellagic acid). These berries have many anti-mutagenic and anti-carcinogenic properties. Raspberry phytonutrients help lower oxidative stress, reduce inflammation and encourage apoptosis. 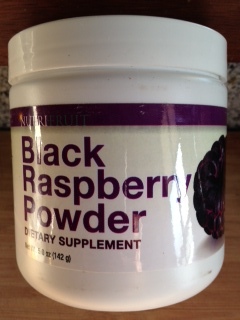 Black raspberries are noted for their extremely high ORAC value and provide a good source of Vitamin A, and provide an excellent source of the flavonoid rutin – a phenolic compound which metabolizes into quercetin. Both red and black raspberries inhibit the growth of oral, breast, colon, and prostate tumor cell lines. 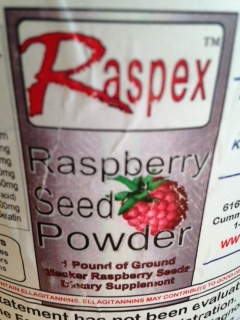 While eating a cup of freshly picked raspberries or black raspberries might not be feasible, there are pure-food supplements like Freeze Dried Black Raspberry Powder and Raspex Raspberry Seed Powder / One Pound Jar) that are easy to find and delicious as well. Other natural substances that are highly effective against CSCs are Curcumin (turmeric)[v], sulforaphane[vi] (broccoli sprouts are especially good), quercetin (apples, onions, red grapes and red wine), green tea, resveratrol, genistein (fermented soy) and black pepper. Eat these foods daily and in substantial amounts to get the most benefit; take them together for the power of synergy. You can also take the drug Metformin, which is an inexpensive off-label drug that has many anticancer properties, including targeting cancer stem cells (see multiple references below, but also consider berberine). And don’t forget to get some sun! As mentioned in the Vitamin D study above, vitamin D may target cancer stem cells as well. Of note is that these substances which target stem cells do so without harming healthy cells and which have other anti-cancer properties. Conventional treatments poison both the unhealthy and healthy cells, often resulting in the patient dying from the treatment, not actually the disease.